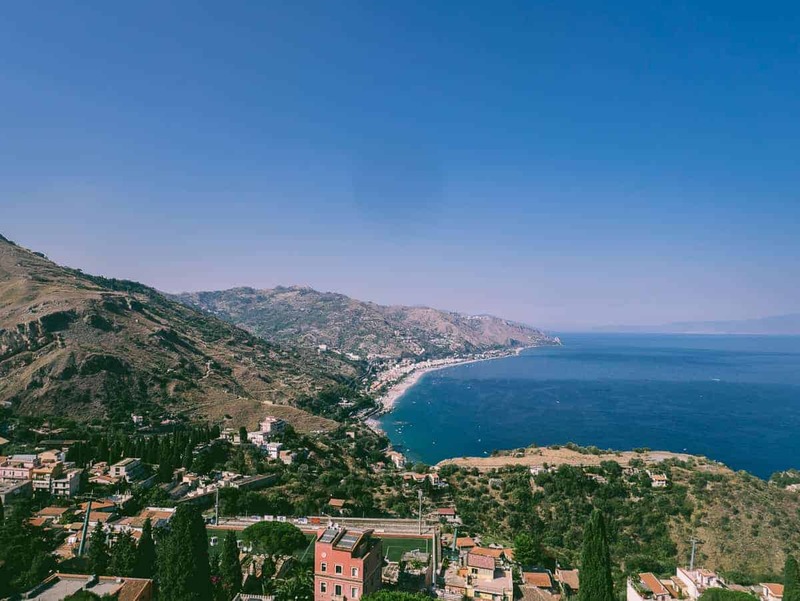 A photographic journey through this beautiful Sicilian town. 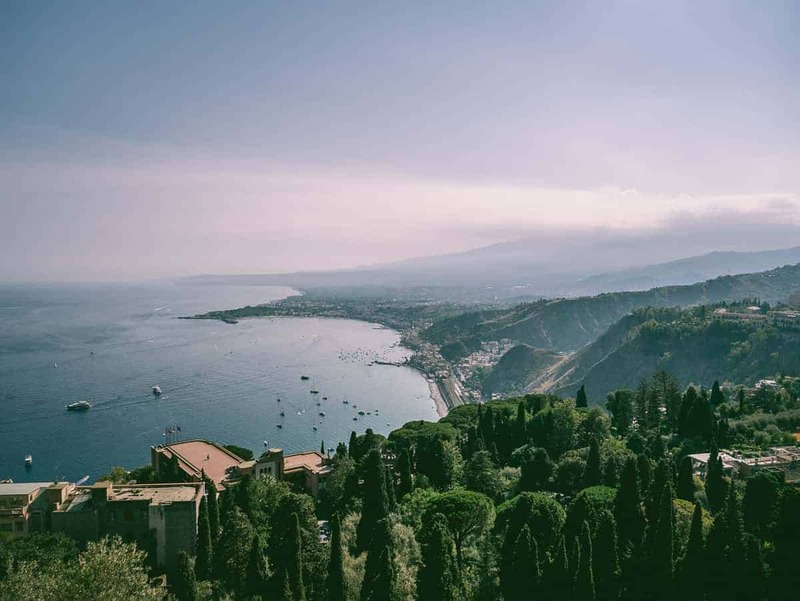 On my recent travels in Sicily, it was Taormina that stole my heart. This photography heavy post explains why. Enjoy the pictures! If you read my post on exploring Rome you would have seen me “gushing” about this wonderful city. I can guarantee you now, the “gushing” will continue in this post! I know it’s a bit of a cliche but what a beautiful island. 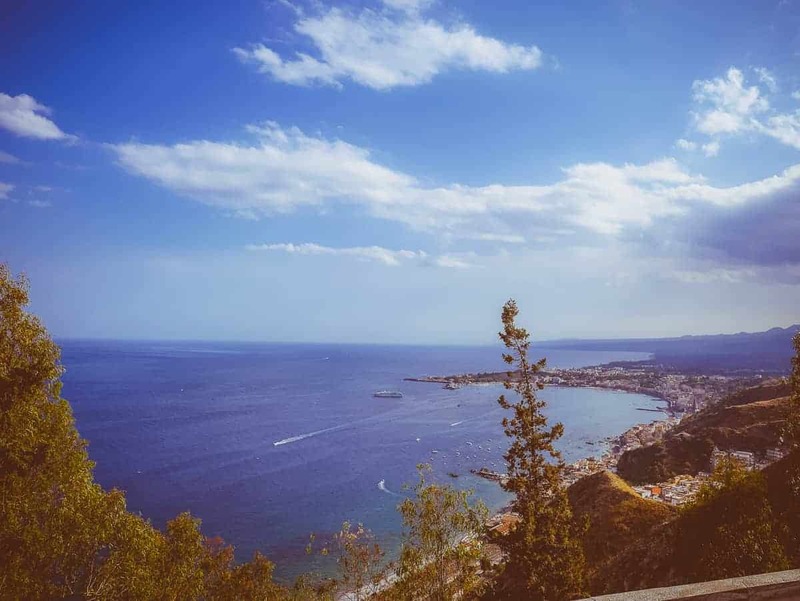 I stayed in three different areas during my ten days here and it was Taormina that truly stole my heart! When I arrive somewhere I try to establish a connection with my new surroundings. If Roma was like greeting a long lost friend, then Sicily was like making a new best friend. Perhaps, even a new lover! Taormina in particular, really and truly did steal my heart. 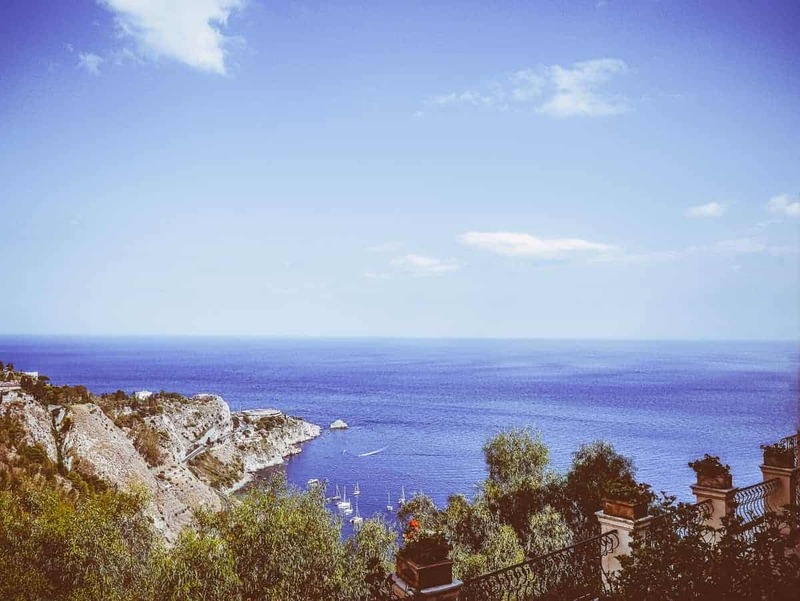 From the magnificent cliff top views, to the bright blue of the ocean. I was in love. This little town was thriving on my arrival. It didn’t have the busy-ness of Roma. Just a cool, welcoming and relaxing vibe. My friends, of which four were of Sicilian descent, think my connection with the island lies in Sicily’s past connections with Greece. The island was colonised by many races over the years and the Greek influence was definitely visible. The Greek theatre or “Teatro Greco” in Taormina is a perfect example. I felt right at home! Especially when it came to eating. I gorged on gelato, arancini, cannoli and granita. No surprises there. For someone who doesn’t particularly order seafood, I found myself indulging in fresh swordfish, sardines, tuna and clams. The produce itself was another revelation. Eggplants seem to rule the roost in this region, along with an plenty of citrus, avocados, pistachios and almonds. And let’s not forget the olives, tomatoes in all their shapes and forms and cheese. I also managed to get up to Mount Etna and sun bake my Mediterranean skin at Mazzaro beach. For the time being, I’ll keep it simple and won’t bore you. I want the pictures to do the talking.